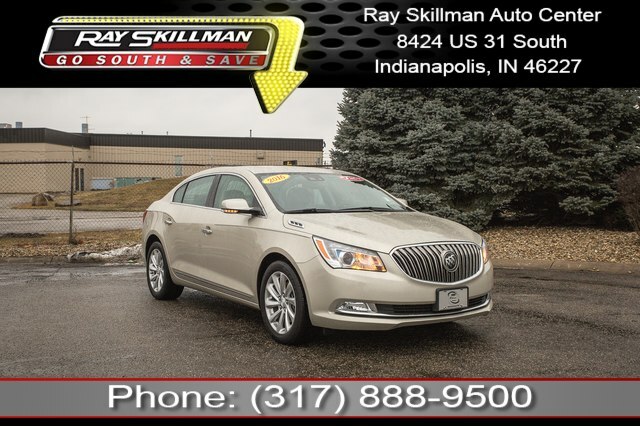 This amazing 2016 Buick LaCrosse Premium I Group comes fully equipped with tremendous features such as: Bluetooth Connectivity, USB Adapter, WiFi Hotspot, SiriusXM Satellite Radio, Navigation GPS NAV System, Rearvision / Backup Camera, Heated & Cooled Leather Seats, One Owner, and More! Odometer is 23314 miles below market average! Fuel Efficient 18/28 City/Highway MPG! DRIVER CONFIDENCE PACKAGE #1 includes (UKC) Side Blind Zone Alert with Lane Change Alert, (UFG) Rear Cross-Traffic Alert, (UFL) Lane Departure Warning, (UEU) Forward Collision Alert, (UE4) Following Distance Indicator, (UV6) Head-Up Display, (T3U) front halogen fog lamps and (T4F) Xenon Highintensity Discharge (HID) articulating headlamps, DRIVER CONFIDENCE PACKAGE #2 includes (KSG) Adaptive Cruise Control, (UGN) Front Automatic Braking and Safety Alert Seat, AUDIO SYSTEM, BUICK INTELLILINK RADIO, AM/FM STEREO AND CD PLAYER includes 2 USB ports and Bluetooth streaming for audio and select phones featuring Android Auto and Apple CarPlay capability for compatible phone. 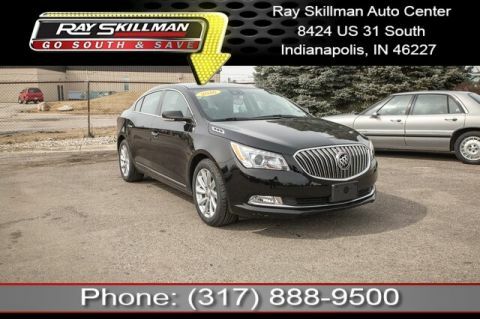 (STD), ENGINE, 3.6L SIDI DOHC V6 VVT (304 hp [226.7 kW] @ 6800 rpm, 264 lb-ft of torque [356.4 N-m] @ 5300 rpm) (STD), TRANSMISSION, 6-SPEED AUTOMATIC, ELECTRONICALLY CONTROLLED WITH OVERDRIVE includes Driver Shift Control (STD).